Activity Point is one of the gamification tools on your social network to encourage members to have more interaction in the community. With this app, you reward members by giving "virtual points" for each of their activities. Activity point system can be thought of as a website currency, it can be used in many different ways to manage your users. 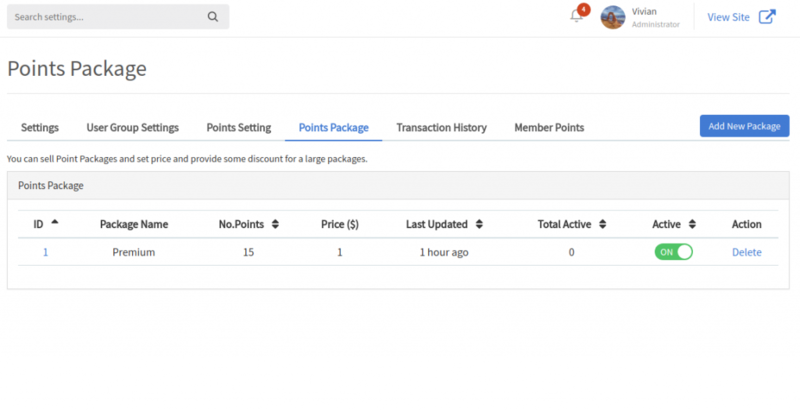 Users can earn points by doing various actions on your network, and then spend points or purchase items, subscriptions... 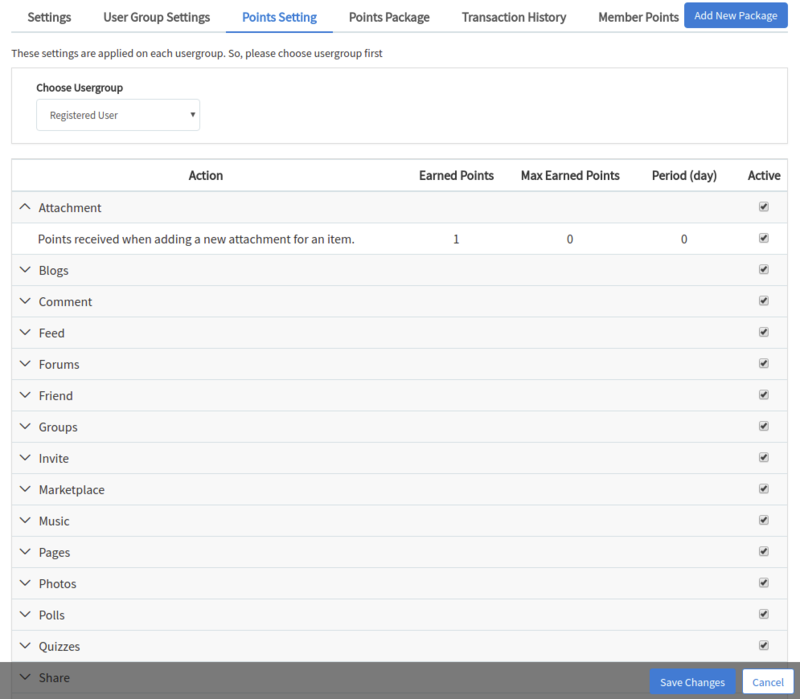 It also makes things easier for users to manage their point balance with several options and criteria. 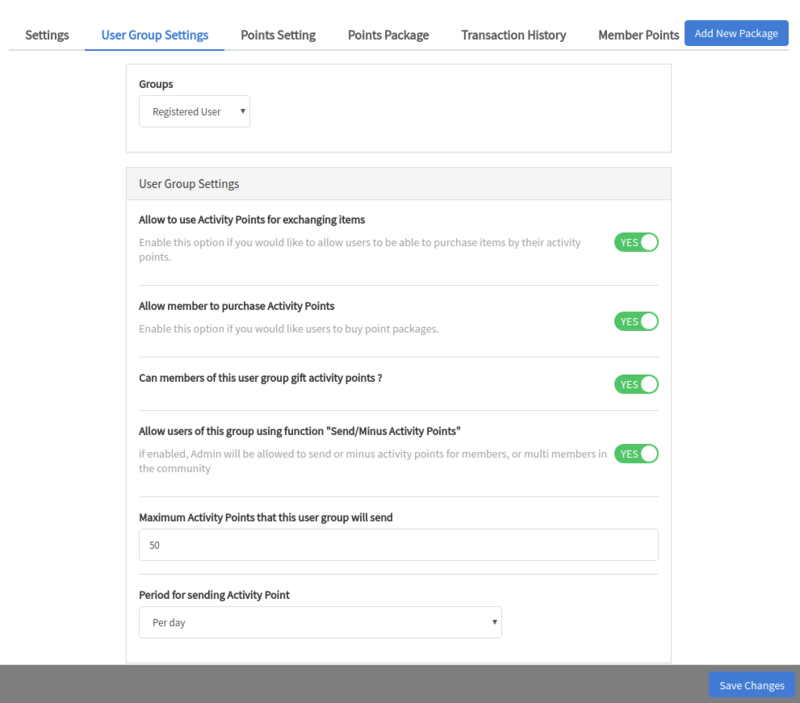 In term of management, the app gives Admin control to adjust member points on each activity, along with several user group settings and point settings. 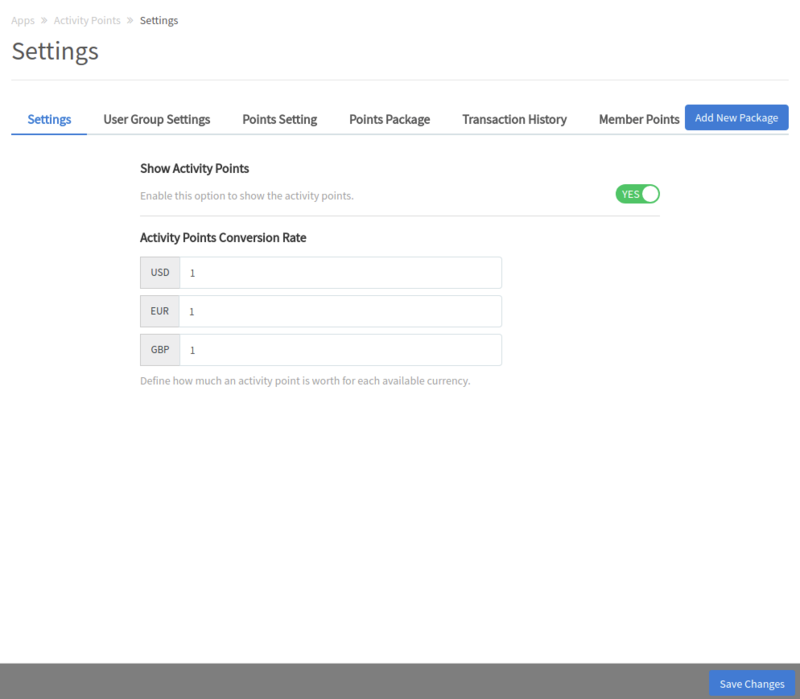 You can also configure the conversion rate to convert the activity points to actual rewards such as real money. There are many ways to use this system efficiently, such as promote some active users to be a moderator of the site, give "real" awards back to some active users or to users whose points over a threshold, etc. Additionally, no more boundary or limit from the Core system, Activity Point app enables developers to take advantage on pointing system and use it to develop many features which related to Activity Point. 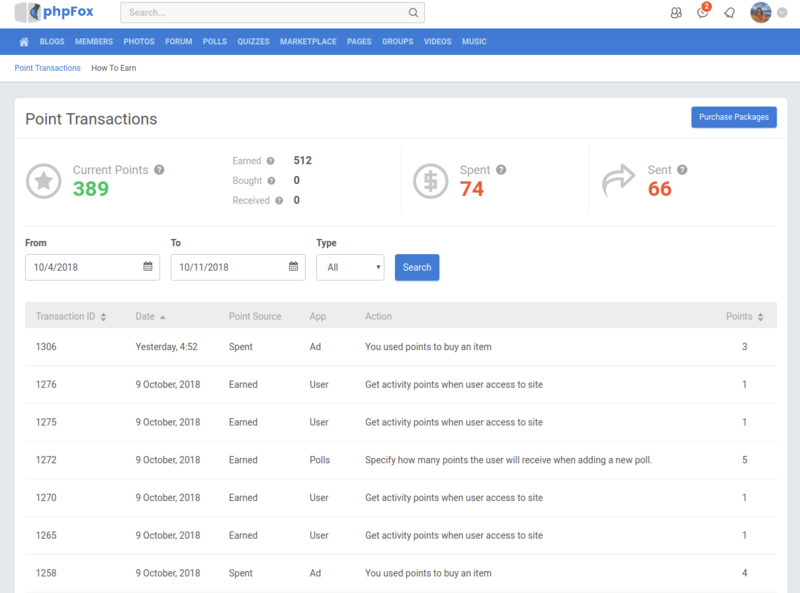 - Review all transactions that users created using Activity points. 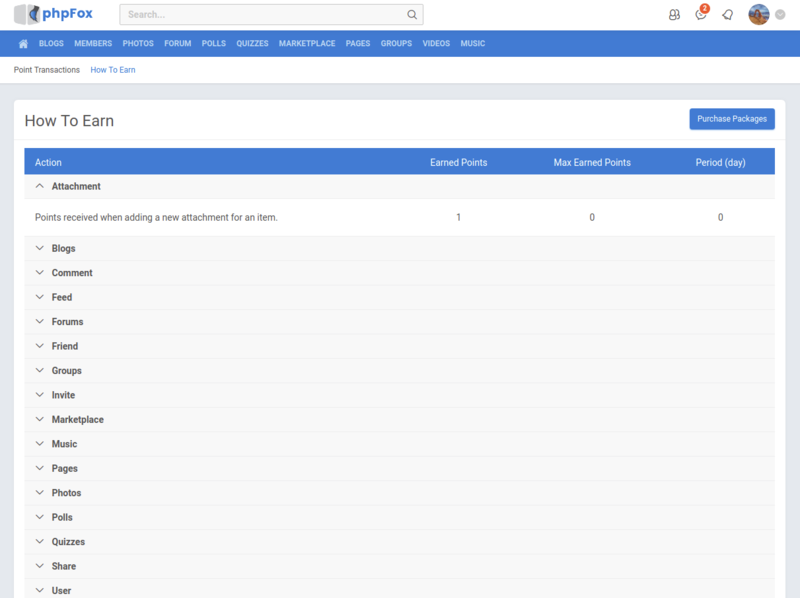 - Review statistic of each user on their current activity point & total earn/received/bought/spent/sent with option to adjust point and view their transaction. - Setting to allow users of this group using function "Send/Minus Activity Points"
Congratulation! You have completed the Installation process. 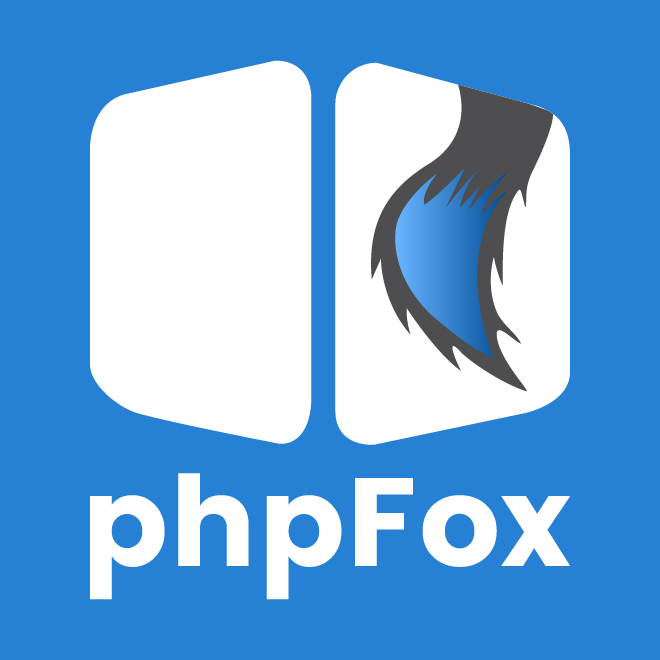 Please refer changelog of this app here.